Easy growing tips for this seasonal favorite. 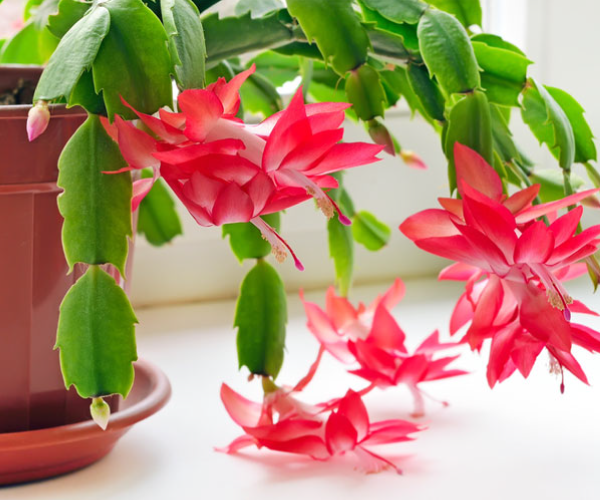 Christmas Cactus is a popular flowering holiday plant. It is an epiphytic native to the jungles of South America. Epiphytic plants grow on other plants and use them for support but not for nutrients. Christmas cactus normally has smooth segments. 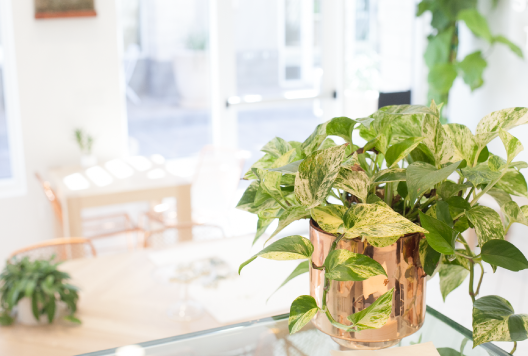 Flowering will not occur unless induced by temperature and/or light treatment.If the temperature is held at 50 to 55 degrees fahrenheit, flooring will occur regardless of day length. Flowering is usually not uniform. Temperatures below 50 degrees will prevent flowering. Flowers can also be generated by nights greater than 12 hours and temperatures between 59 and 69 degrees. Twenty-five consecutive long nights is enough for flower initiation. It takes an additional 9-10 weeks for flowers to complete development and bloom. Christmas cacti like bright and indirect light. Too much sun may cause leaves to turn yellow. Common household temperatures are fine. Soil should be kept constantly moist but not waterlogged. These plants seem to flower best if kept a little pot bound. If you need to repot, try waiting until spring.